BAD Tri is delighted that it now has a large amount of swim time at different pools across the city. This allows the club to run a comprehensive swim training programme offering many opportunities to swim with others of a similar level under the direction of appropriately qualified coaches. 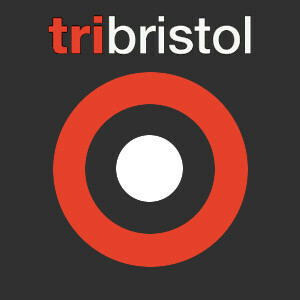 The BAD Tri swim programme is split into squads by ability and each session is designed for a particular ability squad. This has the benefits of making sure that each swimmer gets the best out of the session and is not disrupted by other swimmers of a significantly quicker or slower pace. Please adhere to these times to make sure you and other swimmers attending the sessions get the best out of them. The table below offers a description of squad swimming times over a variety of distances you may have swum in competitions. If you are unsure of your times or your times fit into more than one squad description, please book into a session that you think will be appropriate for your swimming speed then speak to the coach before and after the session. Each squad has a number of sessions available to it. The total number of sessions available to each squad is in proportion to the number of athletes of that ability within the club. For example: There are more swimmers who are swimming 7:00-8:00 minute 400m (C-squad; 8 sessions) than for those who swim less than 6:00minutes 400m (A-squad; 4 sessions). The sessions for the bigger squads also utilise the larger amount of lane space. You are able to attend a swim session if you are not yet a full member. Due to our insurance requirements, you will need to have a day membership in order to attend. Please print off this document, complete it and bring it along to the session you wish to attend. Please bring £1 for your membership and £5 for a 1 hour session or £8 for a 90 minute session. Your participation in the session is at the session coach's discretion. The table below shows when there are sessions available for each squad. For more details about each session please see below. The club has the following regular sessions. Please check the calendar for any temporary changes. For sessions that can be booked please visit the BAD Tri shops to buy credits. This session is for swimmers whose times fit within the A or B squad (please see above for times expected of swimmers in these squads) and will have one coach covering two lanes. Please be ready on poolside at 5:55 ready for a prompt 6:00 start. Coaches will be in the foyer to collect any money and often arrive before 5:45. They will be happy to answer questions before the session starts. To allow athletes to warm up properly and the coach to concentrate on coaching, please be aware that if you arrive late the coach may not allow you entry to the session. This is down to the coach's discretion and his/her word is final. This session is for swimmers whose time fits within C and D squads (please see above for times expected of swimmers in these squads) and will have two coaches covering four lanes. Please be ready on poolside for 7:55 ready for a prompt 8:00 start. Coaches will be in the foyer to collect any money and often arrive before 7:45. They will be happy to answer questions before the session starts. To allow athletes to warm up properly and the coach to concentrate on coaching, please be aware that if you arrive late the coach may not allow you entry to the session. This is down to the coach's discretion and his/her word is final. This session is for swimmers whose times fit within the A or B squad (please see above for times expected of swimmers in these squads) and will have one coach covering two lanes. Please be ready on poolside at 6:30 ready for a prompt 6:40 start. Coaches will be in the foyer to collect any money and often arrive before 6:30. They will be happy to answer questions before the session starts. To allow athletes to warm up properly and the coach to concentrate on coaching, please be aware that if you arrive late the coach may not allow you entry to the session. This is down to the coach's discretion and his/her word is final. This session is for swimmers whose times fit within the B, C and D squads (please see above for times expected of swimmers in these squads) with two coaches covering the six lanes. Please be ready on poolside at 6:55 ready for a prompt 7:00 start. To allow athletes to warm up properly and the coach to concentrate on coaching, please be aware that if you arrive late the coach may not allow you entry to the session. This is down to the coach's discretion and his/her word is final. This session is for swimmers whose time fits within C and D squads (please see above for times expected of swimmers in these squads) with two coaches covering four lanes. Please be ready on poolside for as soon as possible after 6:30 ready to get started. Coaches will be outside or in the foyer ready to collect any money before the centre opens. They will be happy to answer questions before the session starts. To allow athletes to warm up properly and the coach to concentrate on coaching, please be aware that if you arrive late the coach may not allow you entry to the session. This is down to the coach's discretion and his/her word is final. This session is for swimmers whose times fit within the B and C squads (please see above for times expected of swimmers in these squads) with two coaches in attendance. Please be ready on poolside at 7:10 ready for a prompt 7:15 start. To allow athletes to warm up properly and the coach to concentrate on coaching, please be aware that if you arrive late the coach may not allow you entry to the session. This is down to the coach’s discretion and his/her word is final. This session is for swimmers whose times fit within the A or B squad (please see above for times expected of swimmers in these squads) with two coaches at this session. Please be ready on poolside at 5:55 ready for a prompt 6:00 start. To allow athletes to warm up properly and the coach to concentrate on coaching, please be aware that if you arrive late the coach may not allow you entry to the session. This is down to the coach's discretion and his/her word is final. This session is for swimmers whose times fit within the C and D squad (please see above for times expected of swimmers in these squads) with one coach covering the two lanes. Please be ready on poolside at 5:55 ready for a prompt 6:00 start. Coaches will be in the foyer to collect any money and often arrive before 5:45. They will be happy to answer questions before the session starts. To allow athletes to warm up properly and the coach to concentrate on coaching, please be aware that if you arrive late the coach may not allow you entry to the session. This is down to the coach’s discretion and his/her word is final. This session is for swimmers whose time fits within C and D squads (please see above for times expected of swimmers in these squads) with one or two coaches covering the lanes. Please be ready on poolside for 7:55 ready for a prompt 8:00 start. Coaches will be in on poolside ready to collect any money fifteen minutes before the start of the session. They will be happy to answer questions before the session starts. To allow athletes to warm up properly and the coach to concentrate on coaching, please be aware that if you arrive late the coach may not allow you entry to the session. This is down to the coach's discretion and his/her word is final. This session is for all swimmers. The session will be written on the board and coaches will be present but swimming and not coaching. Please be ready on poolside at 7:55 ready for a prompt 8:00 start. To allow athletes to warm up properly and the coach to concentrate on coaching, please be aware that if you arrive late the coach may not allow you entry to the session. This is down to the coach’s discretion and his/her word is final. We are very fortunate to be able to use Henleaze Lake once a week during the summer months. The session is for all swimmers and is an opportunity to practise your open water swimming. You will be welcomed by a BAD Tri volunteer and be able to swim your own session. Occasionally the club will put on open water specific sessions; please see the news page of the website for announcements. For this session you'll probably need a wetsuit (may be not if you are brave!). Speed work: To encourage you to swim that little bit quicker. Aerobic endurance and strength: To build your cardiovascular fitness but also to add a bit of strength to you stroke. Whilst each session is given a title it will more than likely contain some elements of the other sessions; it's just that most of the swimming will be directed towards the main aim. Training aids (such as: pool buoy; kick board; fins; hand paddles and ankle band) are useful but not essential. Knowledge of your swimming ability.